AV Voice Changer Software Diamond New Build 9.5: What's New? Audio4fun just released their newest build 9.5 of AV Voice Changer Software Diamond (VCSD9.5). With this latest build 9.5, there are several notable changes to ensure the best using experience for users - easier to control, better quality, friendlier and more efficient. In this post today, Voice Changer TV will take you on a tour to explore what's new and what has changed inside the software. The new voice morpher is now designed into a Pitch-Timbre graph for better visual control of your voice. With this new design, users can change their voice freely and easily just by dragging the pointer, or by using the arrow keys for exact value. The new graph allows users to modify their voice, change age and gender, alter the characteristics more effectively. To adjust your Pitch, move the pointer to the left, your voice will sound lower, and higher when moving to the right. The same logic goes with Timbre: go up, your voice sounds younger and when go down, older. The new Voice Effects menu is now located to the right of VCSD9.5. You can see the active effects, the ones filled with blue are currently in use and if it is empty, the effect has been turned off. The menu is always available to the right, so users will have better control to try different effects more quickly and easily. Choosing new effects, toggling them on and off or adjusting Equalizer is more convenient now with better navigation and management. Note: You also have the option to show or hide this menu with the button next to it. Same as Voice Effects, Voice Beautifying is also located to the right of main panel. Voice Beautifying has its own Load/Save/Reset button for later use. Note: Just like Voice Effects menu, you also have the option to show or hide this menu. New File Morpher will not only give you the ability to load multiple files to process in batch, but also helps you load your existing playlists and morph the audio files. This is the feature that has been improved greatly with the new function Load and manage playlists. Moreover, it is now available in two modes: Quick Mode and Full Mode. In Quick Mode: you will conveniently use settings of Voice Morpher feature to morph audio files like usual. The new thing in here is that, with just one click, you will be able to load files/playlists to morph immediately without having to adjust anything. This mode will save your morphed files in the same folder of the original's and use the output format as in Full Mode. Note: If you use this mode for the first time, it is recommended to check the output format in Full Mode. The software will automatically remember your setting. In Full Mode: create/load/rename/save/delete your playlists and add multiple files to morph, easy to manage your files.Moreover, you can choose the save location, output format and morph one file or morph all at the same time. In short, control everything you want. Besides these main changes, the new build VCSD9.5 also has some minor bug fixes. Check it out via the link below. Where to find a free voice changer? "Where to download a free voice changer online for PC that can change my voice in real time? I want to talk in Skype with different voices, when I talk, the software will change my voice to anyone and I should have hotkeys to quickly do it. It also needs to have some decent features that I can make my projects. 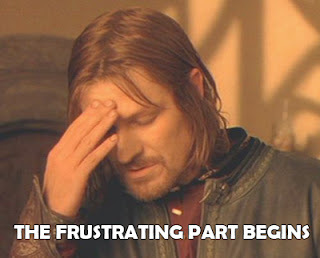 That was probably the hardest question that I have spent the most effort into solving." it's totally worth it, compared to freeware. From my experience, I am not saying that all free voice changers are only mediocre. Some are actually very good that I am impressed too, but unfortunately they cannot satisfy all of our needs and expectations. In my opinion, based on what you want, you can actually find a freeware that is usable (but you need some research and try a few ones), but how usable it is really depends. For example, it is obvious that if you want to have a little fun for like 1 minute Skype talk and will never ever use it again, it's alright to download a free app and talk on the phone. But when you need more variations, more voices like Barack Obama, Morgan Freeman, or even voice comparing feature to mimic your friends around you, things start to get more complicated. To be honest, a freeware can do a few things,... for free, obviously. But when you need more, the functions' abilities start to diminish rapidly. Although we could not find any decent free voice changer based on our use, my team was still very satisfying with our spending of money, plus it's not really that much anyway. We gladly purchased because the features of changing voice in real time and the integrated tools are top in the field. This voice changer can be used for VoIP calls, and have the built-in audio recorder, editor, converter and morpher. All of them are included in the software. It was very quick, we made a discussion and took the chance when it was on discount, collected our money and bought without any second question. The voice quality and voice algorithm of AV Voice Changer Software Diamond is also better than other freeware from what I see. It's also more convenient to download new stuff, effects and voices updated regularly from their Add-on store. So yeah, if you are lucky when they have discount, the price is decent and the functionality is the bomb. It was one tough, then frustrated and finally, we are fine. 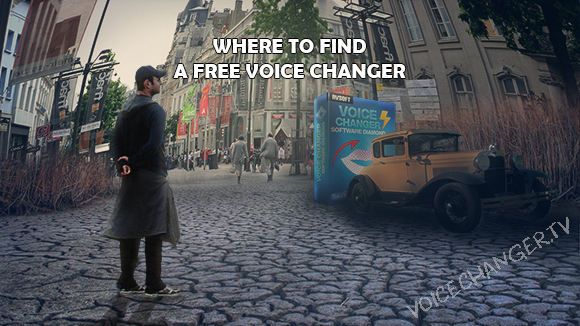 Long story short, I did many researches on finding a free voice changer, which is used on PC installed Windows (so we leave out the voice changer apps for Android, iOS and the Mac OS). It must be able to modify my voice in real time, so I can talk in Skype, TeamSpeak, Discord, a few different VoIP and then I will record the conversation, edit and output the audio files (we use a different software for video editing). Problem is, there are a few voice changers out there, but no software can satisfy all of the need (but still very simple I suppose). The features were not sufficient. Some have this, but lack that - a general problem to all of the freeware I found. And believe me, you won't find anything close to the paid one we are using that is free. I spent hours within a week trying to find a good one but no hope. Installed some but then I had to uninstall again just within a day of trying. The editing and morphing audio tools integrated. All-in-one Voice Changer, I must say. Furthermore, when making some research about the company, I see that AVSoft has a long history for providing audio software. And what's more, in my opinion, their selling website https://www.audio4fun.com/ also looks more professional compared to some other competitors. I can feel that they are really putting effort into building the website seriously, with a whole support center site and Add-on store. My thought was "they look professional, so the software might be great, let's give it a try, I can refund if needed.". After reading the information on their voice changer product, we bought the Diamond version and were not disappointed. It took me a few minutes to get used to all of the features, but when you get the gist of it, things will be actually simple and very fun. Although different people will have different feelings when using a software, but if you are looking for a voice changer to use, try a few ones and also this one too. And that's it my friends, it was my story of finding a free voice changer. My work was more complex than I thought, so well, we could not find anything free that is capable to run. If you want to know more, for instance the features of some free voice changer or how good AV Voice Changer Software Diamond is, leave a comment to Ann and I will answer you later. Let me give you a quick review on the AV Voice Changer. A short review on the software. - Talk in real time for internet calls, and even in real phone calls. - Integrate audio recorder, editor, converter and morpher. - Voice comparator and analyzer, quiet useful when I want to mimic someone's voice. - Add-on store. This is the best, I came here and downloaded some background effects and new Nickvoices. - For a new user, you may not not understand the feature right away, but I think anyone can use the software after exploring for a few minutes. 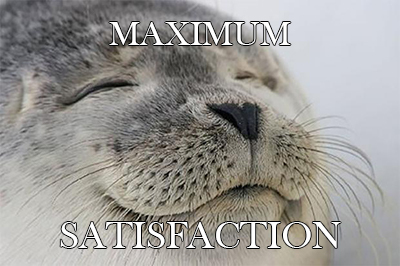 We are satisfied. The audio projects are on the run, smoothly until now. I believe this software has a very wide use, for example, relaxing and having fun talking on Skype, voice chat in games, and also editing audio like what we are doing. After a few weeks, I like its simplicity, a modern look and high quality output. So, as of now, I have nothing to complain.